Package Include: 1 x 8 Channel DVR 8 x 420TVL 1/4 SHARP CCD 4-9mm Outdoor..
Package Include: 1 x 8 Channel DVR 8 x 600TVL IR 40M 6-15mm All-weather B..
Package Include: 1 x 8 Channel DVR 8 x 600TVL 1/3 SHARP CCD 4-9mm Outdoor..
Package Include: 1 x 8 Channel DVR 8 x 600TVL 1/3 SHARP CCD 4-9mm Indoor IR 20..
Package Include: 1 x 8 Channel DVR 8 x 600TVL 1/3 SHARP CCD 4-9mm All-wea..
Package Include: 1 x 8 Channel DVR 8 x 600TVL 1/3 SHARP CCD 3.6mm Outdoor..
Package Include: 1 x 8 Channel DVR 8 x 600TVL 1/3 SHARP CCD 3.6mm Indoor ..
Package Include: 1 x 8 Channel DVR 8 x 540TVL 1/3 SONY CCD 4-9mm Outdoor .. Product Features: 1. 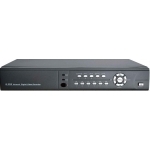 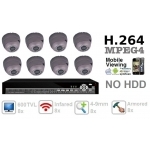 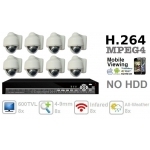 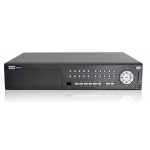 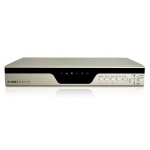 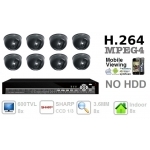 Standard H.264 compression,efficie..
Package Include: 1 x 8 Channel DVR 8 x 600TVL IR 40M 4-9mm All-weather Bu..
Package Include: 1 x 8 Channel DVR 8 x 600TVL 1/3 SONY CCD 2.8mm Indoor I..
Package Include: 1 x 8 Channel DVR 8 x 600TVL 1/3 SONY CCD 4-9mm Indoor Dome C..
Package Include: 1 x 8 Channel DVR 8 x 420TVL 1/3 SHARP CCD 4-9mm Indoor IR 20..
Package Include: 1 x 8 Channel DVR 8 x 420TVL 4-9mm Indoor Dome Camera 3-Axis Brack..
Package Include: 1 x 8 Channel DVR 8 x 420TVL IR 20M Indoor Dome Camera 8 x P..
Package Include: 1 x 8 Channel DVR 8 x 420TVL 1/4 SHARP CCD 3.6mm Outdoor..
Package Include: 1 x 8 Channel DVR 8 x 420TVL 1/3 SONY CCD 4-9mm Out..
Package Include: 1 x 8 Channel DVR 8 x 420TVL 1/3 SONY CCD 3.6mm Out..
Package Include: 1 x 8 Channel DVR 8 x 600TVL IR 15M Outdoor Indoor Bulle..
Package Include: 1 x 8 Channel DVR 8 x 600TVL 1/3 SONY CCD 3.6mm Indoor Dome C..
Package Include: 1 x 8 Channel DVR 8 x 600TVL 1/3 SHARP CCD 3.6mm Indoor Dome ..